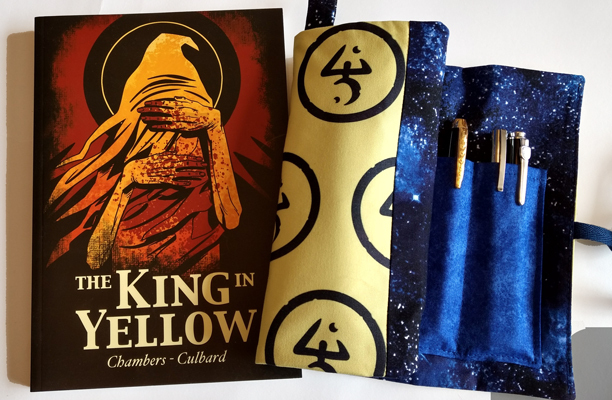 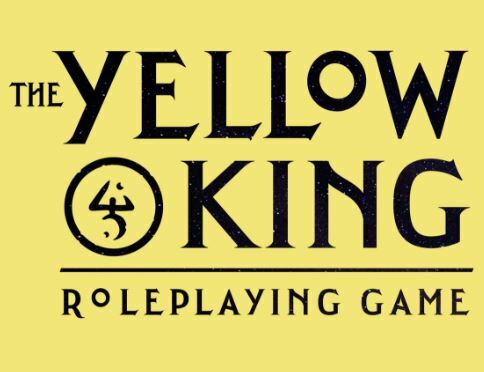 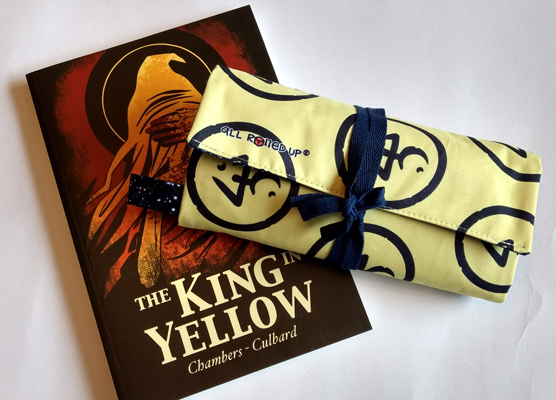 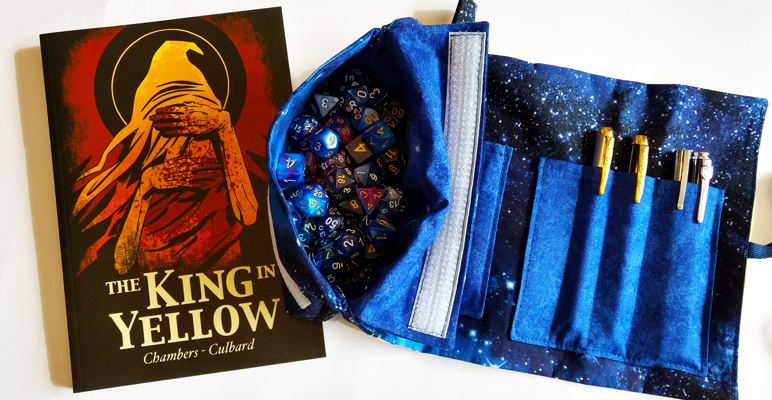 Written by Robin Laws and Kickstarted by Pelgrane Press, The Yellow King is a new GUMSHOE core game that pits the characters against the reality-altering horror of The King in Yellow. 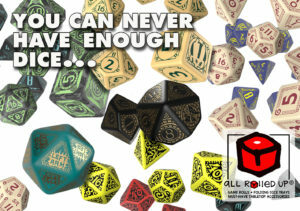 The Kickstarter is due to deliver at the close of the year, but we’ve been hard at work pulling together a design for an All Rolled Up – included as part of the pledge levels – that will allow you to carry all the dice, pens, counters and whatever other ephemera you need when running your game. 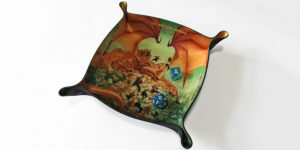 And the design will be available directly from All Rolled Up in a not too distant and certainly not alternate timeline.